Security, Comfort Level, Attentive Staff, Vibe, Inclusivity, and Cleanliness. Think of Outro as all your closest gal pals in a group text combined with the coolest bulletin board in your local coffee shop. 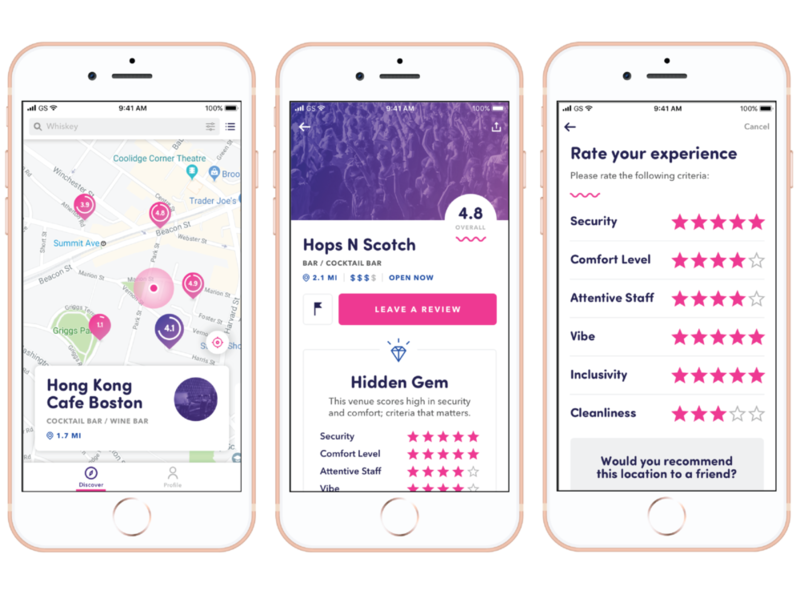 Look for bars in our app with a high score to see how they rate on safety, save your favorite bars for future promotions, even explore our map to see what's nearby. It really is that time of year again! Halloween is upon us, and if you’re like many other New Yorkers, you are looking for the best Halloween event possible to attend this year. There is tremendous pressure on the citizens of NYC to go all out not only on Halloween, but the weekends before and after as well. Here are 5 events in NYC that will ensure that this Halloween is your best yet. We’re electing sexual assault deniers into positions with lifelong terms, our civil rights are being challenged, and overall, women can’t seem to catch a break. Here are 5 female-run stores in NYC that will remind you how unstoppable women are! So, you’re thirsty. You’ve come to the right place. One of the best features I’ve found from using Outro is that it constantly is introducing me to bars I would have never found otherwise bringing me a totally unique assortment of new experiences.